Looking for the best travel pillow? These top ones will help you sleep on flights. Sleeping well on a long journey can be the key to arriving refreshed and ready to go. But getting some shut-eye on an overnight flight, train, or car ride can be a challenge without the proper neck pillow. If you’ve ever had your nap interrupted because you’ve turned into a human bobblehead, you know exactly what we’re talking about. 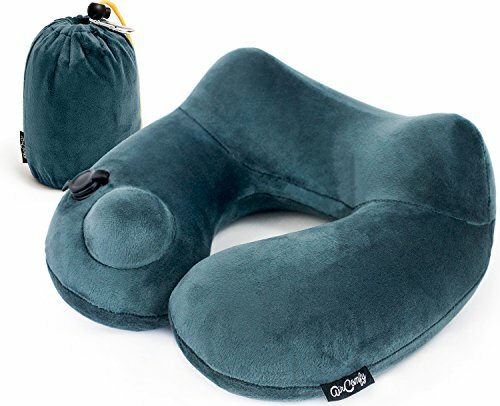 A solid travel pillow should offer the right amount of support that you need, be comfortable, portable and easily washable, and at least attempt to look somewhat cool so as not cause inflight embarrassment. 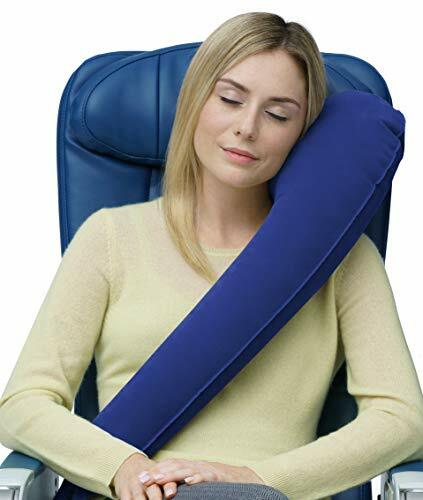 From neck pillows that look like elegant scarves to others that inflate in under a minute, there are plenty of options on the market that will allow you to rest your weary head. Based on the above criteria, we rounded up the best of the best. So take a look and prepare to find the perfect travel buddy. Pros: This neck travel pillow doesn’t fly solo. It comes with ear plugs and an eye mask, and all fit into an easy-to-carry bag, allowing you to block out the world and get in that crucial R.E.M. sleep. Cons: Some travelers found that the memory foam was way too firm. Say goodbye to nodding heads and stiff necks with this Trtl pillow. Pronounced “turtle,” this pillow keeps your head in a better, ergonomic position thanks to its patented internal support system. 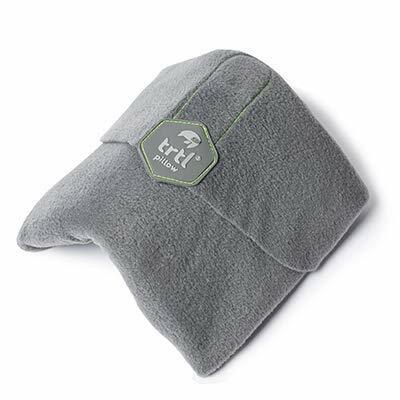 Pros: The Trtl Pillow is a bit like a cozy, comfortable scarf made from hypoallergenic polyester fleece. Yet, the strengthened ribs tucked inside offer scientifically-proven head and neck support, granting you the best of both worlds. It’s machine-washable ensuring it’s fresh and ready for each new adventure. Cons: This travel pillow is built for taller people with longer necks. And it can be too bulky if you’re traveling light. 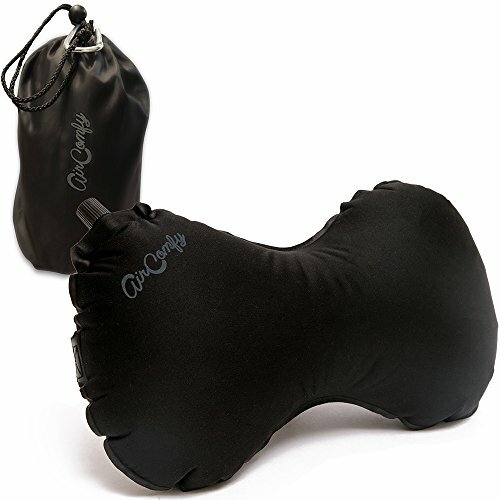 This neck pillow inflates in 30 to 60 seconds simply by pressing a built-in inflation pump. You can adjust it to your desired level of fullness at the push of a button. When you wake up, simply deflate the pillow and pack it away in seconds by releasing the air valve. 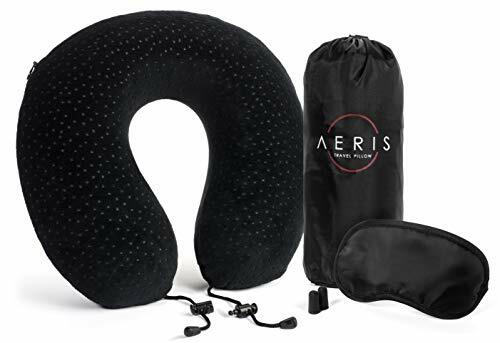 Pros: This neck pillow comes with its own lightweight “packsack” and a caribiner clip so you can attach it to your luggage, saving you space inside your suitcase. Cons: The sound the pillow makes as you’re pushing the inflation button is bothersome and a bit like a bicycle horn. Whether you’re placed in a window, aisle, or middle seat (or even at home), this infinity pillow is up to the task of making you comfortable. 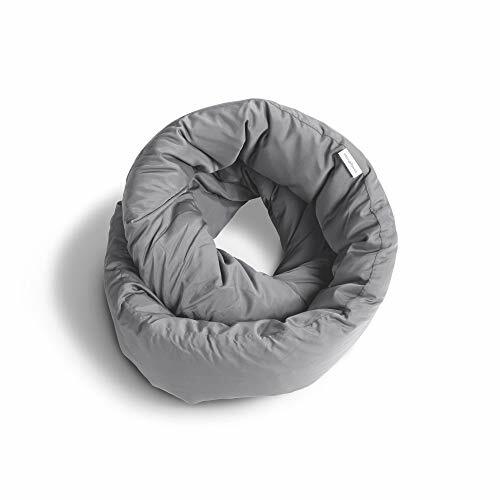 The first Mobius-shaped travel pillow looks like an infinity scarf and is made with breathable bamboo fabric to keep travelers cool while they slumber. 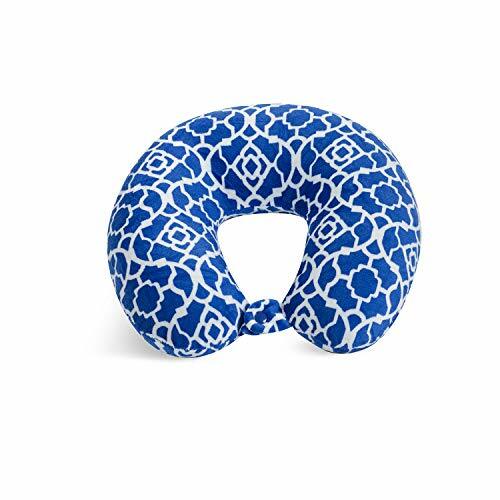 Pros: Striking the right balance between soft and supportive, this travel pillow is made of luxurious fabric that’s antimicrobial and hypoallergenic. The entire pillow can be tossed in the washing machine after each trip. Cons: Some travelers said the pillow didn’t provide is enough neck support and were hoping for a bit more firmness. This pillow can be twisted and turned to fit your exact sleep and comfort specifications. Pros: This travel pillow holds its shape (whatever you need that to be) for as long as you need, thanks to its memory foam construction. Just twist it into whatever shape you want. The cotton cover is machine washable. Cons: The memory can split after a long period of use. And there’s really no easy way to stash it or carry it. This petite pillow is adjustable so it works equally well for men, women, and children. Travelers can inflate it fully to be as firm as possible or release air if they prefer a softer touch. With an expandable elastic band, you can secure it to your headrest so it stays in one place and won’t slip or slide while you’re trying to sleep. Pros: Smaller than other options, this pint-sized travel pillow cradles your neck, offering support that’ll prevent pain and stiffness and won’t make you feel claustrophobic the way large pillows might. It does double duty in that you can also use it for lumbar support. Cons: Tragically, it can start to deflate minutes after you rest your head on it. This crossbody pillow can be worn 'messenger bag style' and offers full lateral support. It easily attaches to an airplane seat’s 'wings’ or a car’s headrest so you don’t have to wake up to adjust it. 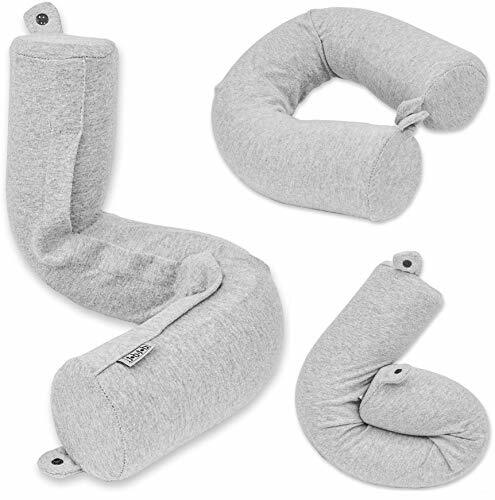 Pros: This travel pillow is a great alternative to the traditional behind-the-neck options. We like that it inflates easily and deflates almost instantly. When rolled up, it doesn’t need much room inside your travel bag. Cons: It can be tough to keep in place when you’re trying to doze off. Making it one of the most environmentally-friendly pillows on the market, this super-soft microfiber pillow filling is made of recycled materials. At the same time, it’s hypoallergenic and completely machine washable. Pros: Thanks to a zipper in the back, you can adjust the level of firmness in this travel pillow simply by removing the stuffing. We like the modest price point and wide variety of colors and patterns. Cons: If you have a larger noggin, it can be too small for you.